A formerly abused and abandoned dog will now be fighting crime as a police K9 in Kansas. The Geary County Sheriff’s Department has welcomed Nova, a German shepherd, to the force – she will be working as a narcotics detection and tracking dog for the department. Shelter staff presumed she had been bound in some way; perhaps with rope, wire, string or a rubber band – no one could be quite sure but whatever it was left a lasting scar and constant reminder of the life she left behind. Fast forward six months – Nova had already achieved her certification for narcotics and tracking thanks to the Heart of America Police Dog Association. 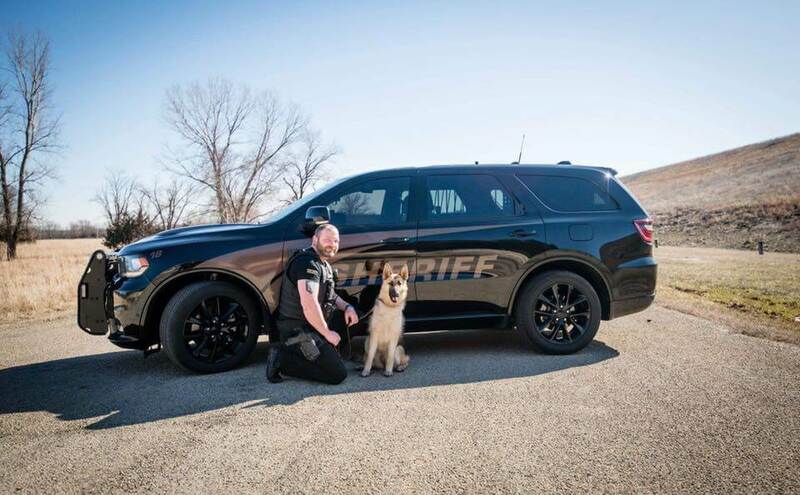 By her side was her handler, Geary County Sheriff’s Department Lt. Justin Stopper. Nova was a star pupil, taking just for months to complete her training.